Well I think the trip is back on track to be a great one.. The last 24 hours have been wonderful. Last night we stayed in a fine hotel in Meridia. A small town in central Spain. It was actually a very modern hotel with all the modern amenities including a swimming pool! We enjoyed a quiet evening at the hotel. Took a nice swim after a long day on the motorcycle, which was amazingly refreshing. Then Duane and I drank a bit to much wine and finished off the evening with a good dinner at the hotel. The place was quite festive that night due to a wedding going on. It added to the atmosphere. 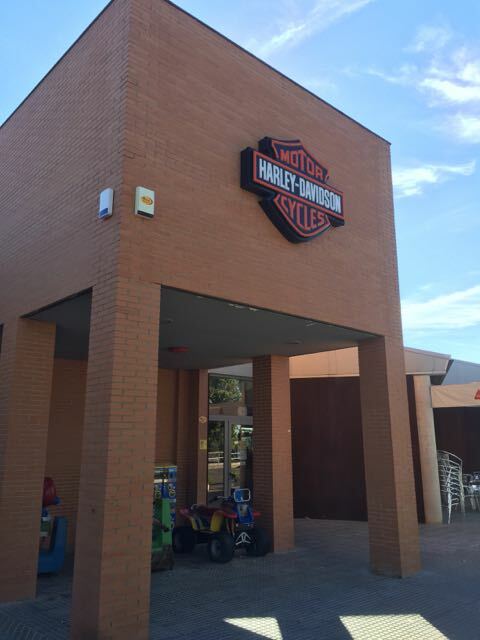 Another hint that we were now in the right area of Spain for motorcycling was the surprising number of motorcyclist staying there from all over Spain and Europe! The following morning we got up at a reasonable hour, had a relaxed breakfast, loaded up our bikes and did a short ride to the center of town where there was supposed to be some old Roman ruins. It is surprising that so many of these ancient towns are still living, functioning cities. Merida dates back to Roman times before BC yet as we rode through town there were modern stores, car dealerships, homes, and businesses. All the fixtures of a modern city yet right in the middle of town was about a 4 square block of ancient Roman ruins over 2000 years old! A Colosseum used in Roman times for entertainment and a beautiful amphitheater used back then for meetings and plays and still in use today! Check out my blog for lots of photos. From there we headed off to ride to Madrid to meet our newest riding partner, Kim Berlin who is arriving tonight. Rather than just blast down a boring freeway (although they are not free here and the tolls are quite high. You can easily spend $30-$40 a day on tolls) I set my GPS system to avoid all tolls and major highways.. A great decision! As we rode out of town the weather was absolutely perfect, sunny and not to hot or cold. We rode away from the highway and started down quite two lane country roads that meandered through farm country. Easy relaxed riding with beautiful views and the smell of acres and acres of olive trees, grape vineyards, and corn fields. IF that is all we did all day it would have been great but after a couple of hours we started up into the local mountain range. The road twisted and turned to a relaxed rhythm and the motorcycle riding just got better and better. We rode for 30 minutes at a time without passing another car.. The views were wonderful as we passed through beautiful small Spanish villages. Around 2pm we stopped in a small village for gas and a light snack. From there the road dropped back down into the next valley. 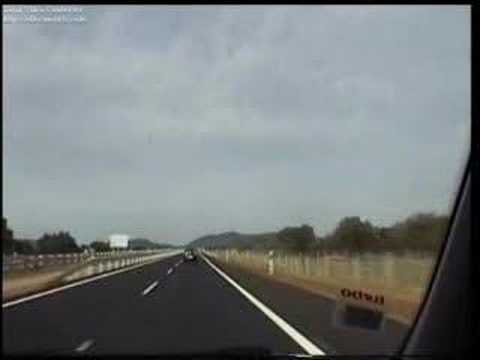 Around 3:30pm we deduced as much fun as we were having it was time to get to Madrid to meet Kim so we found the local freeway and with in an hour and half we were at our hotel. A first class hotel in a beautiful part of downtown Madrid. We have Kim to than for that since she booked the rooms. Once we checked in and settled in we rested for a while. Two weeks on the road is tiring. I was even able to arrange laundry service, which was more than do. I am sure I had a couple of pants that could stand up my themselves. About 9pm that night Kim arrived at the hotel and we were all excited to finally have the group together. We immediately went out to celebrate with a late dinner. We walked down a side street and had a very traditional Spanish dinner. It was great. Part of the dinner was a “meat plate”. When they brought it out it was slices of steak that looked marinated and EXTREMELY rare. Only Kim and I were eating meat so we looked at it and figured when in Spain do as the Spanish do so we took a slice and started to eat it..
Just then the waiter came out with a small portable BBQ and set it on the table. He then explained the Spanish way of cooking steak.. One minute on each side and a coating of sea salt which he brought a bowl to us. Everything was wonderful including the wine but way to much, we couldn’t finish it all. On the way out of the restaurant Kim started to immediately make new friends. There were a group of uniformed policemen watching a soccer match on TV. Kim is a retired sheriffs officer so she asks them if she could have her photo taken with them. What group of red blooded men could say no to a cute blonde. The men were amazingly hansom too, so much so that even Kim had to comment! Tomorrow we give Kim time to get on the European time zone then we pick up her rental motorcycle and prepare for more adventures. Some examples of the beautiful views and great roads to ride a motorcycle on! Time for more open roads! Out in the middle of nowhere in dairy country was this LARGE and modern Harley dealer and restaurant. Time for a little road side snack. Kim wasn’t in the country two hours and she is already making new friends.. Previous articleHola Madrid, here we come! Next articleFrom Madrid to Cuenca Spain.. Fiesta San Mateo!